If you’ve never been on a cruise, then you have probably wondered whether or not they are worth the cost. There are many factors that come into play when talking about the cost of a cruise, and today I will discuss those with you. 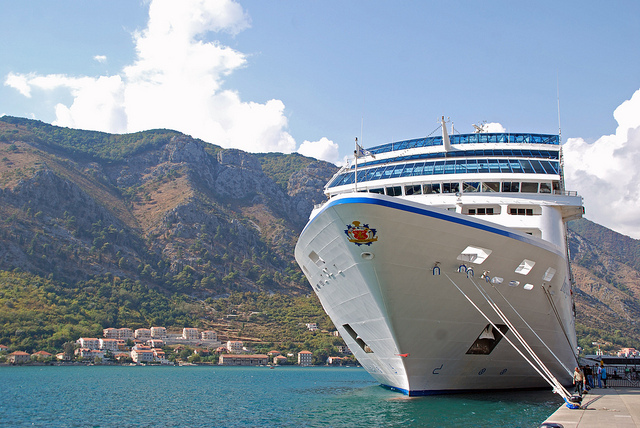 The first cost that you will have to pay in order to go on a cruise is your initial cruise fare. This can vary greatly. There are cruise ships where you can spend $200 on a 3 night cruise. Then there are around the world cruises that can cost tens of thousands of dollars. Then you will also have to pay port fees and taxes. This may be anywhere from a few hundred dollars to even a few thousand dollars, all depending on where you are going and the cost of the cruise fare. Food is usually included in the initial cruise fare. There may be specialty restaurants on the ship where you may have to pay extra fees to eat there though. In most cruise fares, only water, tea, and basic coffee area included in the cost of your initial cruise fare. After that, you will have to pay for any alcoholic drinks, specialty drinks, soda and more if you decide to drink them. There might also be drink packages on the ship where you can have all-inclusive drinking options. If you are going on a cruise, then it may stop at a few ports. If you decide to do any of the excursions at the ports, then you will have to pay a fee. Different types of excursions include: riding a jet ski, going on a tour, going to a water park, snorkeling, and more. There are usually plenty of options. Transportation to and from the cruise. You might have to take an airplane, and then a taxi to your cruise ship. If you decide to fly, then they usually say that it’s best to fly in the day before instead of taking a flight on the same exact day as your cruise ship is supposed to depart. Internet fees. If you are going on a cruise and you want to use the internet, then you will have to pay an additional fee for this. It’s usually quite expensive to use internet on a cruise ship, and it’s usually slow as well. You may pay anywhere from around 35 cents a minute to $1 a minute to use the internet aboard a cruise ship. Photos. Some decide to have photos taken on the cruise ship, and you will have to pay for these. Gratuities. Some cruises have you prepay for gratuities on your cruise ship, whereas others you can pay just like you normally would. However, you should always budget this in and do not try to stiff the workers in order to save money. Spa. If you decide to use the spa, then you will have to pay a fee. Have you ever been on a cruise? How much did you spend?